Purchase this slice of awesomeness now and earn 56 Vein Tap Points! You’ll already know from our wonderful Murder One Killswitch that sometimes, you love something so much, you have to kill it. 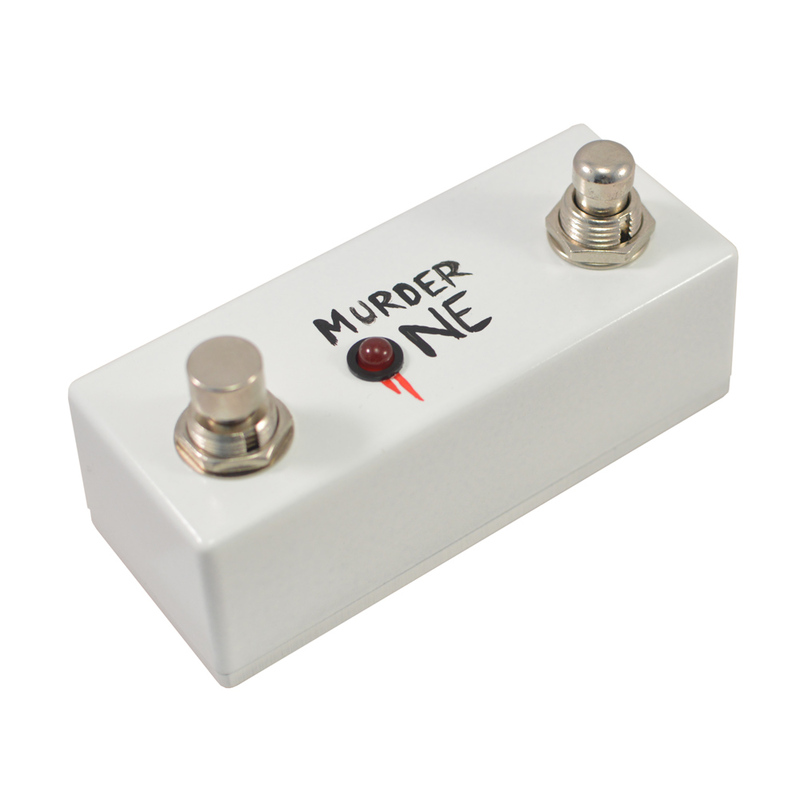 Well, now Vein-Tap.com gives you even more control over the life and death of your tone with the Murder One Dual Stutter Killswitch. Essentially forcing both versions of the normal Murder One Killswitch into one small, discreet and unbelievably stylish box, the Dual Stutter Murder One kills your signal dead on its left, Latching side, and works as a momentary stutter effect on the left. 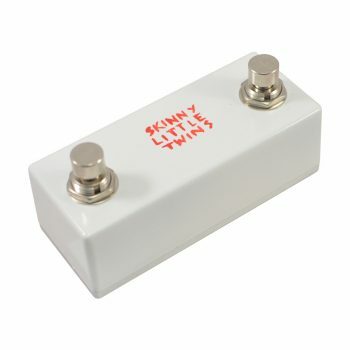 It’s perfect for both jobs, small enough to fit on the most crowded pedalboard, but with enough space between switches to be useful even by the heaviest-booted guitarist. What’s even better? The Latching Killswitch has an LED to help you figure out what it’s doing. This requires a normal, centre-negative, Boss-type power supply – but the actual killswitches themselves are totally passive, meaning you don’t need to power the Murder One Dual Stutter Killswitch to get your kill on. Handy, no? 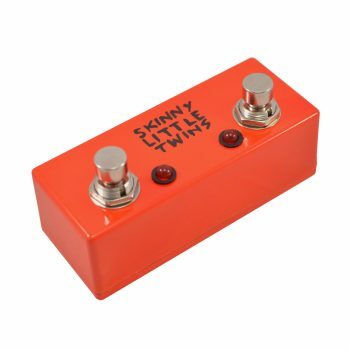 Even in front of the highest-gain, filthiest amps, this dual kill/stutter switch is completely silent and won’t add any hiss or noise to your tone. In fact, it can be viewed as a hiss / noise solution; some extreme rock and metal guitarists suffer from excessive noise and feedback between songs. Slap the Latching, Kill side of the Murder One Dual Stutter Killswitch on and you’re completely free to talk to the crowd, tune your guitar, throw pigs’ heads into the audience – whatever you need to do. Awesome, lovely, powerful… why did I did not bought one before!!! 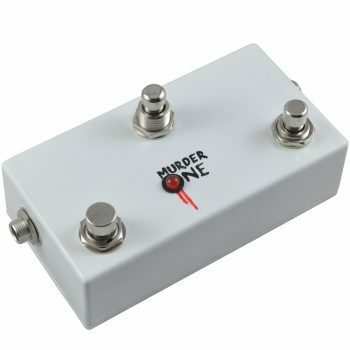 Just added the Murder One Dual Latching & Stutter Killswitch onto my pedalboard and it fits perfectly. I can finally have this new killing effect without installing it on my basses. Easy to use, fast answer, phenomenal effect. Thanks so much to Vein-Tap for their friendly relationship and quick shipment. I can;t imagine playing without it anymore. Thanks to You all at Vein-Tap, keep on rocking! This thing is pretty much bang on. 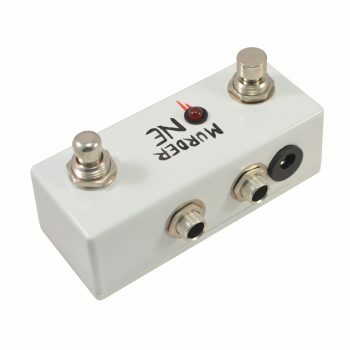 I struggled to find many killswitch options at a reasonable price until I stumbled on to Vein Tap, and they will definitely be my go to now! Solid build quality, excellent finishing, nice button design with a soft stutter and the certainty of the latching kill. Useful LED for the heat of the moment too. If you need a killswitch, get this bad boy. I would mention however that the power point is not so compatible with the typical norm right angled patch cables and a flat solid boards (like my Warwick/Diago). 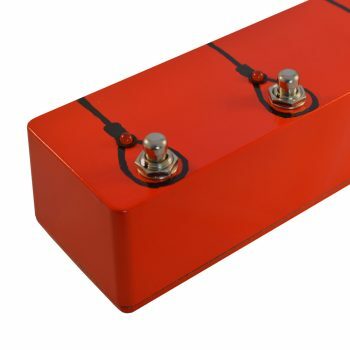 If you have two opposing right angled jacks parallel to the pedal, then the power point is slightly obscured (if you had a Pedaltrain style board where the cables can dive under, or straight patch cables, then this would be a non-issue, ). I suspect this is a function of the innards, and I should have thought about it more before purchase. That said, it is a minor quibble, and the pedal is an asset to my board; I can heartily recommend it! Works exactly as expected! Very nice compact design, quick delivery and a great price. Happy customer here! Ordered mine a few weeks back after finally having found Vein-Tap online. Use mine in a distortion loop for my bass. Works great. Love it. Was looking to free up some space on my pedal board. 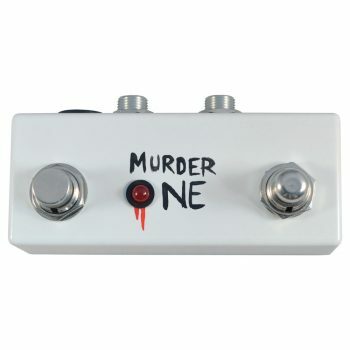 Wanted to replace my volume pedal with a kill switch. 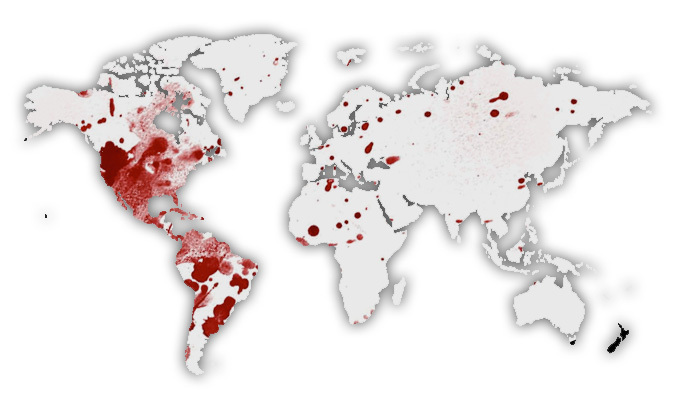 Saw the murder one. Was sold just by its look. Pedal is built like a tank. Works great. Have the amazing pedal on the end of my pedal board and with one click I can silence my P90s straight way. The stutter switch is great for exploring new techniques. If you want a kill switch on your board this is the best out there. 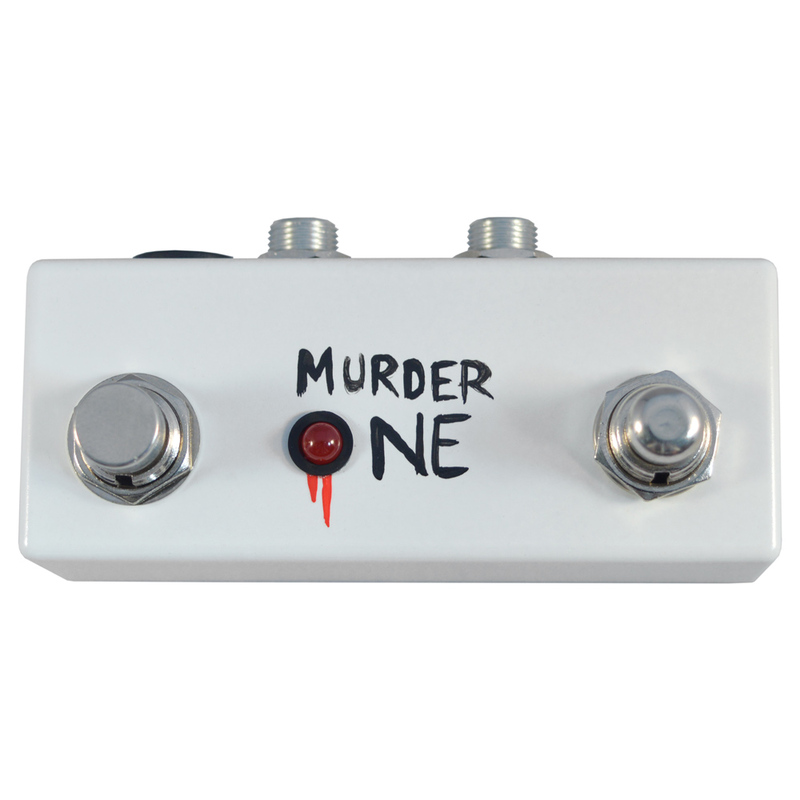 I’m already the happy owner of a Vein Tap Plus tap tempo pedal, so I had no concerns about ordering this pedal. Great little kill switch with the added fun bonus of the stutter switch too. Useful LED to indicate when it is doing what it does (though no power supply is necessary to function otherwise). Excellent value for the price. Well done Vein Tap! Fantastic piece of kit. Solid build, great design and a insanely easy to use. The stutter side of the pedal is probably the most fun, for me anyway, not sure if the rest of the band would agree. Will definitely be buying more pedals from you! Thanks for this awesome little bundle of practicality and fun! 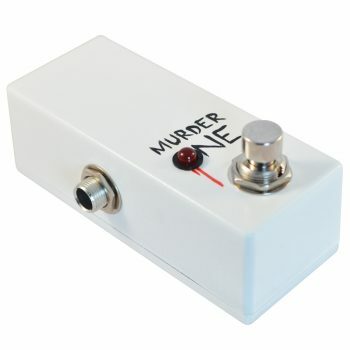 Perfect build quality, excellent idea having latch and stutter in one pedal, small enough to fit on even the most crowded of pedal boards, good price, quick delivery, can’t think of anything bad to say about Vein Tap and the Dual Murder One, except that I couldn’t post this review from the review email they sent me, although I’m blaming that on my office firewall. This is really a great product. I had planned on getting the single swtitch pedal, but I couldn’t decide which I wanted, so I paid a little extra and got the dual switch instead. It does exactly what you’d expect, and what with it being so small you can fit it on just about any board. I use a Pedaltrain Mini and it fits in just nicely. I love the quality of the pedal, as well as the design and above all the simplicity. It’s so easy to use, and you don’t even need to power it for it to work. 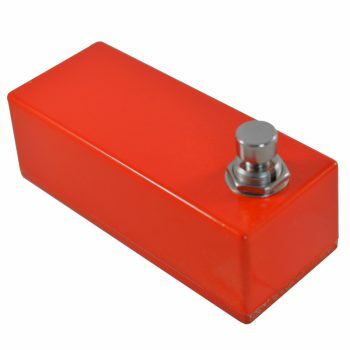 A great addition to any pedalboard, for sure!